My children are HUGE crafters! My son seriously makes several "projects" a day made out of things he finds around the house, paper, and even garbage! I love seeing his creativity with every project! 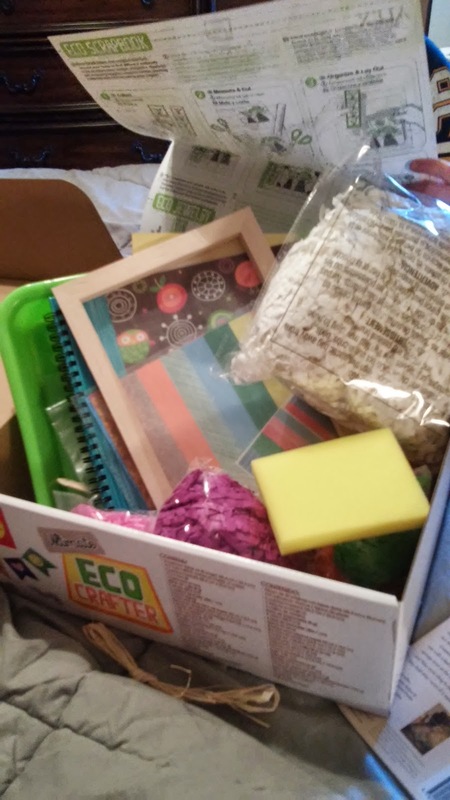 So when I surprised my children with the Ultimate Eco-Crafter, they were very excited, to say the least! They were even more excited when I explained and showed them that it is really 3 kits in 1! It had everything we needed to make beautiful handmade paper, preserve your memories in a scrapbook and create eco-friendly crafts. For me, the first thing I loved the most is how all the products in the kit were eco-friendly! That is so important to me since my children spend so much time doing crafts! My children were quickly making scrapbook pages, wood bead necklaces, and craft project after craft project. 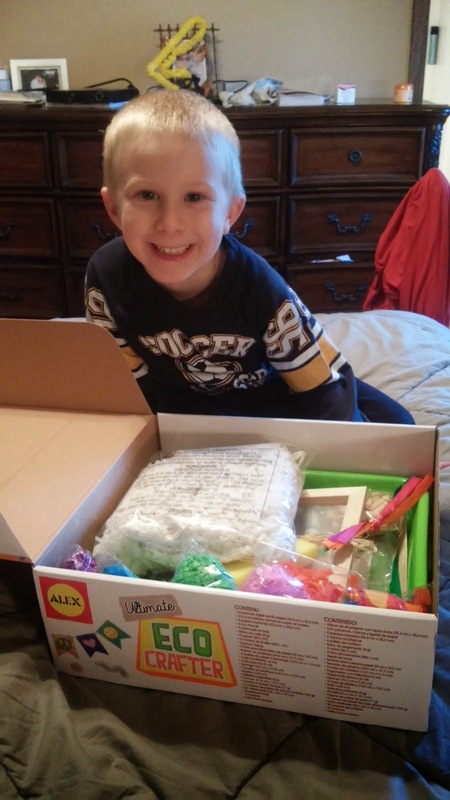 I loved watching their creativity to come alive thanks to this kit and they had endless possibilities because of all the wonderful craft supplies included! This set includes 40 page hardcover book, 418 stickers, paper shapes and frames, 8 printed papers, 6 eco pencils, 6 wooden sticks, 9 ribbons, 4 twine cords, zig zag scissors, paper making frame, plastic tray, 8 sheets of construction paper, glitter glue, white glue, sponge, 2 plastic sheets, raffia, silver glitter, stencil, tissue paper shapes, 6 colors of shredded tissue paper, resealable bag, 38 wood beads, 12 buttons and easy instructions. This is the perfect craft to have your children do or gift to give this Earth Day! You can purchase the Ultimate Eco-Crafter for $44.99 from the ALEX website.